As much as I hate the feeling of enclosed hallways, if your house has them you may as well make sure they are lined with bookshelves! That’s lovely – so mellow looking and like a secret place. Yes, though not necessarily with framed art leaning against the shelves! Love this image, such a great reading nook and such an abundance of books. A lovely sight! A truly excellent use of space! 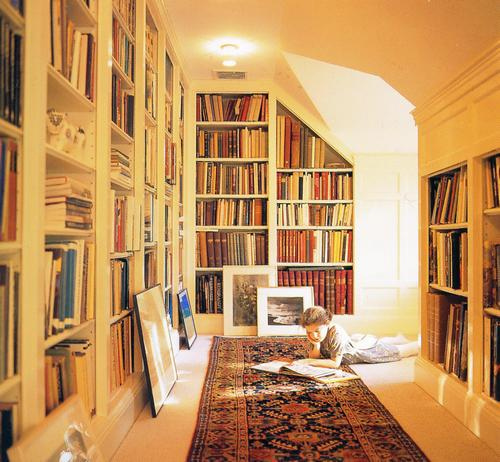 I love thinking that you could walk into someone’s house, or through it, through a book-lined hallway. 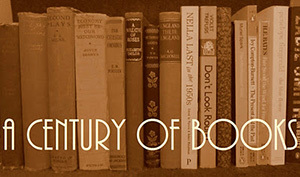 You might never get any further, though… or if their books were disappointing, you could turn around and run away. 🙂 Lovely room! I agree with Lisa. I don’t like the framed art leaning against the shelves. The light in this library is stupendous! The best thing about the room. I like this little cubby. It looks like it is under the eaves and I like that it is utilizing space as a library. It does need a chair, though.